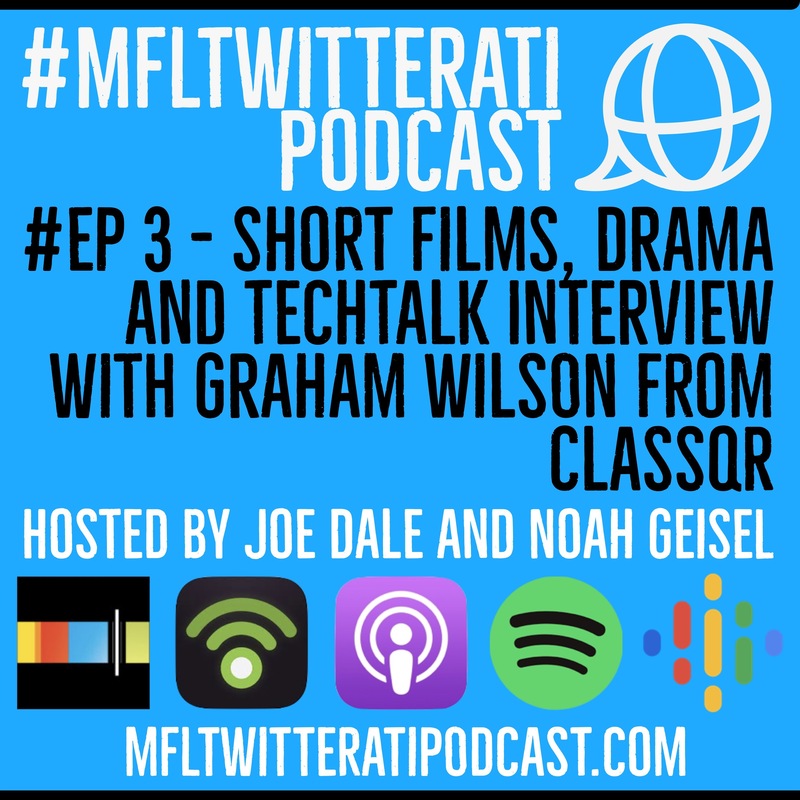 Unsurprisingly Noah and I are big podcast listeners and in Episode 4 of the #mfltwitterati podcast, we recommend some of our current favourites from the UK and the US. We start with ones produced by language teachers, of course and then move on to ones with an edtech focus. We share tips on how to find new podcasts to check out from podcast friendly hashtags to episode specific keyword searches and we give a shout out to a brand new social network aimed at connecting like-minded podcast fans! How cool does that sound! If this wasn't exciting enough we also hear about a time saving hack to create vocabulary sheets using Google Translate and a great opportunity to take part in a global e-zine for learners of Spanish. Next, we get creative with the Language Stones initiative before diving into some great tech and non-tech revision ideas to help students prepare for their upcoming GCSE exams. 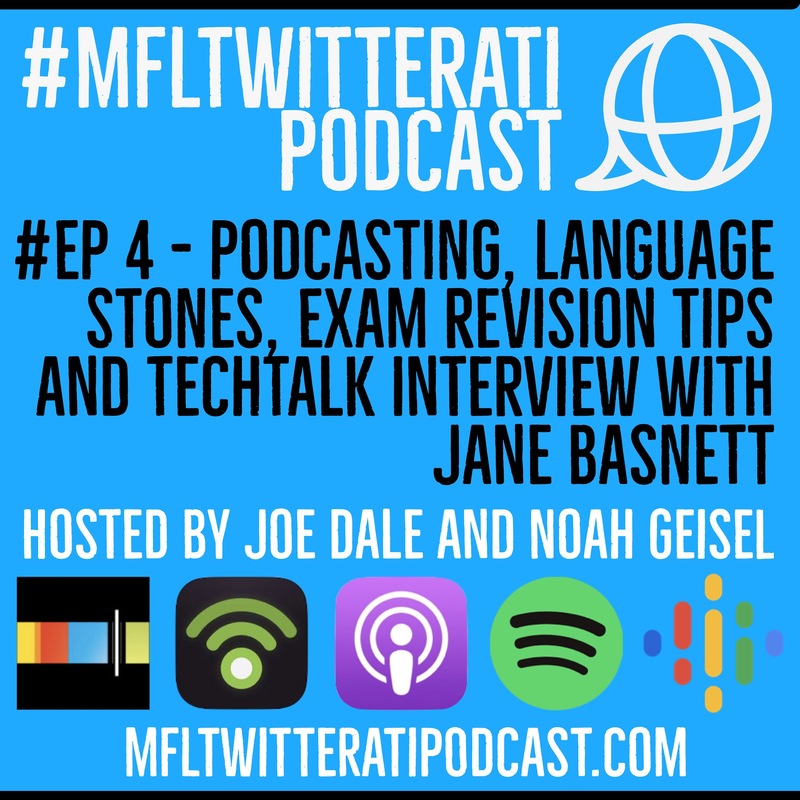 Our TechTalk interview for this episode features a lovely chat with Head of Modern Languages, Jane Basnett about her edtech journey in recent years and her reflections on the power of technology in the languages classroom. If you've enjoyed this episode of the #mfltwitterati podcast, please rate and review us on Apple's Podcasts app so more language teachers can find us. You can subscribe to the #mfltwitterati podcast on the Apple Podcasts app, Google podcasts, Spotify, Overcast or Stitcher or wherever you listen to your podcasts. For more information and links, go to our podcast site mfltwitteratipodcast.com where there are lots of references to this episode content and all the previous episodes too! The #mfltwitterati podcast - Celebrating the voices of the modern language teaching community! Hi everyone and welcome to Episode 3 of the #mfltwitterati podcast. In this episode, we hear about ways in which you can harness the power of social media and in particular Instagram and Snapchat to turn authentic resources into starter activities and make learning visible. We'll find out what impact language ambassadors can have on a school's ethos. There are also lots of ideas on how to integrate short films and drama into the languages classroom including flipping the classroom, green screening, digital storytelling, the benefits of attending a BFI Study Day and running a Film Club at your school. Wow! Well what a response to episode 1! Thank you all so much for your feedback and for spreading the word. 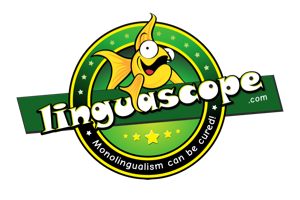 We hope you like Episode 2 as much which looks at useful Facebook Groups for language teachers, purposeful virtual and augmented reality activities for bringing language learning to life and a whole host of ideas on integrating translation into the languages classroom. 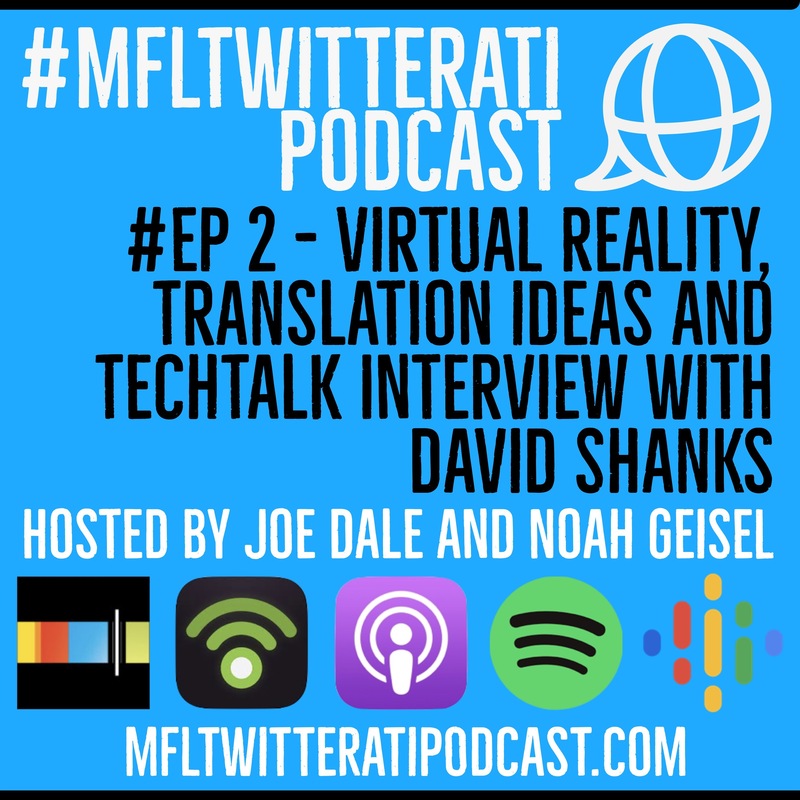 For our TechTalk interview we speak to David Shanks (@HFLanguages) about different ways he uses research to inform his language lessons including spaced repetition, low stakes testing, creating speaking homeworks and the power of an audience. 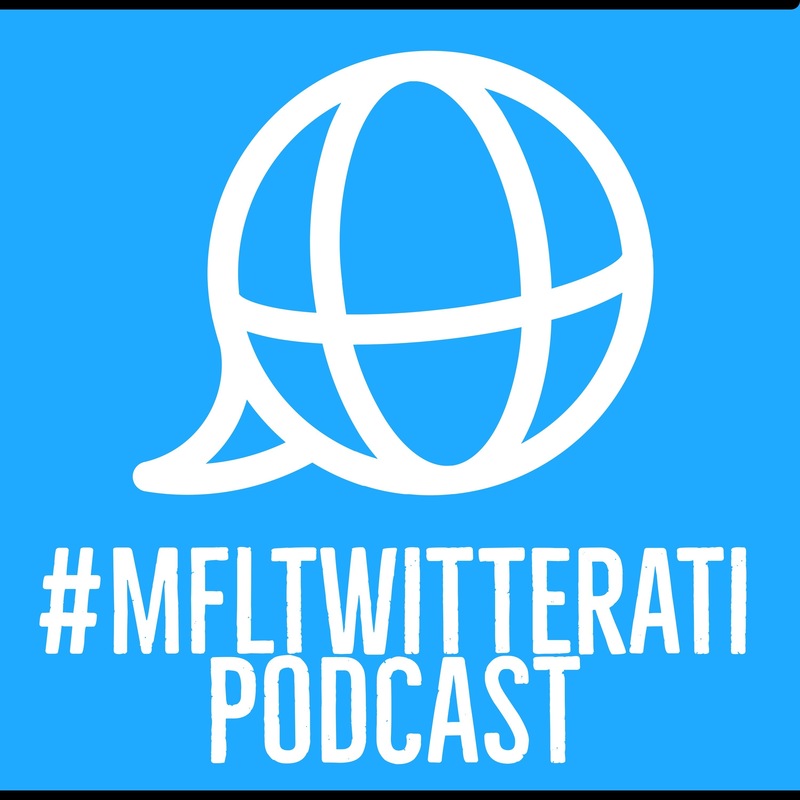 After months of planning and preparation, we are delighted to launch the first episode proper of the #mfltwitterati podcast and we can't wait to hear your feedback! 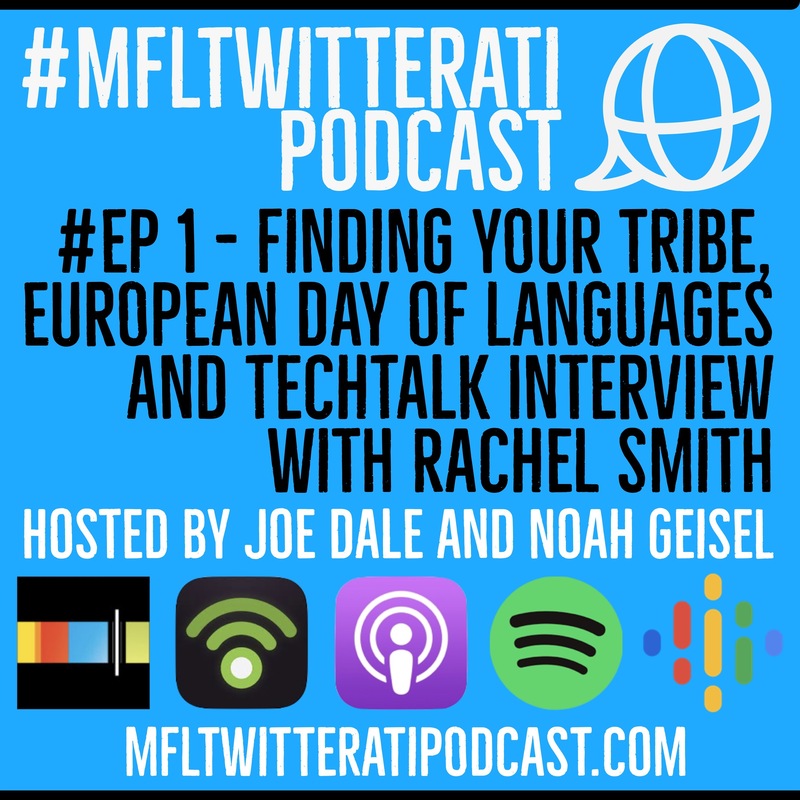 In this episode, Joe and Noah discuss the #mflchat, Flipgrid, the power of the #mfltwitterati community, pronunciation practice and different ways #mfltwitterati celebrated European Day of Languages.